As hospitals and other medical facilities become more technologically advanced, administrators face the prospect of upgrading old systems and leveraging new digital resources to advance patient care. This can take many forms, including the transfer of paper patient data files to digital format and enhancing communication infrastructure hospital-wide to meet the needs of computers, cell phones, tablets and other personal devices. There’s a benefit to using tablets, cell phones and other wireless devices in the hospital; a 2015 study by Ricoh showed 74 percent of hospitals that use tablets or other mobile devices to collect information from patients are more efficient than those that don’t. The same study found that 85 percent of respondents said they would feel more comfortable about a hospital’s quality of care knowing it is using the latest technology. Because of these shifts in patient care, medical professionals are more reliant than ever upon secure mobile networks and data technologies. While many of these advances can be facilitated through a Wi-Fi connection, a reliable cellular connection can help healthcare facilities transition to a digital platform, streamline communications on and off campus, and maintain a high level of security throughout a facility. An improved cell signal can also prevent long wait times by speeding up patient check-ins, diagnoses, and test results for improved patient engagement without ever compromising patient confidentiality. Unfortunately, many older healthcare facilities and sprawling hospital campuses suffer from poor cell phone signal brought on by signal-sapping materials (brick, concrete, steel), the size of a particular facility or staff, and patient density. Luckily, there are a handful of connectivity solutions available in the market to help boost connectivity and enhance patient care. Poor cellular connectivity can be an isolated or widespread problem, depending on the environment. 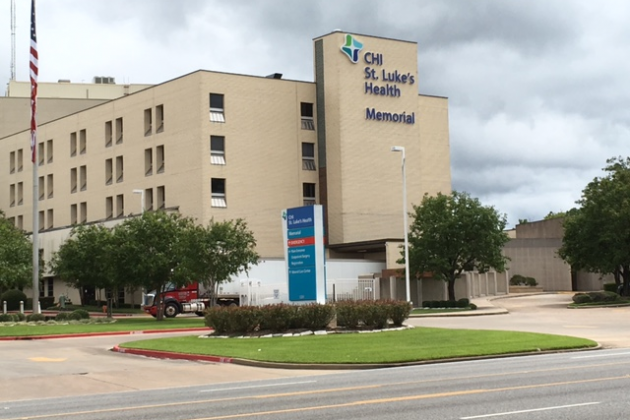 Take the case of CHI St. Luke’s in Lufkin, TX, where upper patient floors, the medical staff meeting room, radiology department and operating rooms all suffered from poor connectivity. The lack of service was so poor that it regularly cut off medical staff from their colleagues and patients. Relying on a page to a landline is not the ideal scenario for a group of medical experts who may be waiting on calls from other healthcare professionals to quickly consult about a patient’s needs. Likewise, being in a 30-minute meeting (or exam room) without cell service could result in doctors finding a multitude of missed calls and voicemails on their cell phone that require extra time to listen to and return. When hospitals like CHI St. Luke’s suffer from poor cellular connectivity, they typically turn to the most robust -- and cost-intensive -- solution: active distributed antenna systems (DAS). There’s no question that active DAS provides a viable connectivity option. These systems use antennas and fiber optic cable to capture a cell signal from a remote source and broadcast it over a wide area, such as a stadium, subway station or another large area with square footage reaching into the millions. Active DAS systems typically create a single-carrier signal — one that boosts signal only for a specific carrier, like Verizon or AT&T. While these are good options for covering vast areas, active DAS are known for their high costs and difficult retrofitting due to the intensive fiber optic installation requirements. Typically, these systems cost $2 to $4 per square foot and take as long as 18 months to install. With hospital budgets under increasing scrutiny, an expensive and time-consuming active solution isn’t always the best option. Hospitals looking for an alternative can opt for what’s called passive DAS. These solutions, also known as cell phone signal booster systems, capture existing cell signals from nearby cell towers using rooftop donor antennas, amplify the weak signal, and then rebroadcast the boosted signal throughout the indoor. Passive DAS takes far less time to install and costs far less than active DAS. The system can be up and running in a matter of weeks and cost between 30 cents and 70 cents per square foot to install. Further, a passive DAS solution is carrier agnostic, meaning it offers a universal solution, benefitting all users regardless of cell service provider. Large hospital campuses that leverage passive DAS are usually retrofitted with a number of different independent systems. This targeted, or zonal, approach means some buildings might be fitted with a single cellular amplifier, while others, such as a multi-story tower, could be fitted with five or more amplifiers. With such a connectivity solution in place, hospitals can eliminate many of the difficult problems that plague care providers. At CHI St. Luke’s, the new passive DAS system improved cellular connectivity throughout the campus and cut out many of the daily frustrations that hindered the efficient delivery of care. Upgrading your hospital’s connectivity helps hospitals meet the advanced technological and care demands of modern medicine. 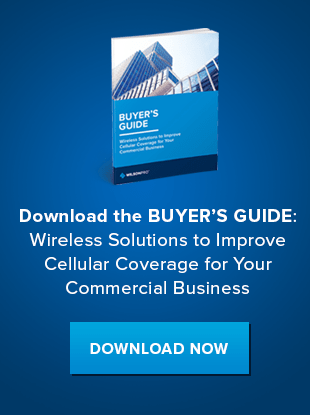 With budgets under pressure industry wide, there are multiple options available to help administrators and facility managers eliminate the cellular problems that have become the norm for many hospitals. Check out our Buyer’s Guide below to find the perfect solution for your needs.